As much as we love to rag on Taylor Lautner here (i mean he IS 16 after all), we simply couldn’t imagine someone else playing Bella’s trusty BFF in New Moon. 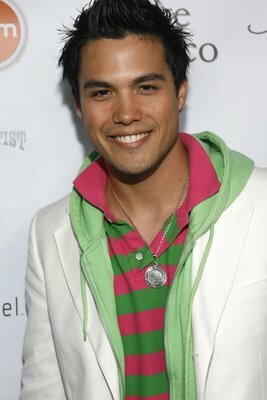 Especially if that someone else is Micheal Copon. Gross. In recent days rumors have been running as rampant as baby vampires in the south (HA) about the possibility of Summit recasting the role of Jacob Black. Though we all know that Jacob needs to, uh, TRANSFORM into a big dude in the next installment, the rumored names that have been on the internet simply WILL not do. Perez reported yesterday about Micheal Copon (a major toolbag and crappy actor from Scorpian King TWO). A good thing to remember is that both the guys featured in these rumor posts are repped by the same agent and apparently have a great publicist because this stuff is spreading like wildfire. Team Jacob, remember that this could all simply be a huge publicity stunt to try to get these two actors into the next movie. Putting some validity behind these rumors, however, People posted a poll today asking if Taylor should return as Jacob Black… so mobilize yourselves Team Jacob and let them know what you want! Vote for Taylor or Michael here: People.com but know if you do vote for Michael we’ll probably be writing a letter about YOU!